Caterpillar (Macrothylacia rubi) eating a honeysuckle leaf. English : Caterpillar (Macrothylacia rubi) eating a honeysuckle leaf. Bonsai trident maple in the root over rock style. English : Bonsai trident maple in the root over rock style. A stormy day in Pors-Loubous, a small port in Plogoff, Brittany, France. English : A stormy day in Pors-Loubous, a small port in Plogoff, Brittany, France. The Classic of Rites was one of the Five Classics of Confucianism. English : The Classic of Rites was one of the Five Classics of Confucianism. Smoldering after the 1906 earthquake in San Francisco. Taken from the tower of the Union Ferry Building. English : Smoldering after the 1906 earthquake in San Francisco. Taken from the tower of the Union Ferry Building. Ordinary hexagonal dendrite snowflake, highly magnified by a low-temperature scanning electron microscope. English : Ordinary hexagonal dendrite snowflake, highly magnified by a low-temperature scanning electron microscope. Hopi Chipmunk in Dead Horse State Park, Utah. English : Hopi Chipmunk in Dead Horse State Park, Utah. Zion Canyon at sunset in Zion National Park in Utah, as seen from Angels Landing looking south. English : Zion Canyon at sunset in Zion National Park in Utah, as seen from Angels Landing looking south. View on Anguillara Sabazia, Italy. English : View on Anguillara Sabazia, Italy. White-breasted Nuthatch in Algonquin Provincial Park, Canada. English : White-breasted Nuthatch in Algonquin Provincial Park, Canada. A bee (Apoidea) on a flower. English : A bee (Apoidea) on a flower. L'Hemisfèric at the Ciutat de les Arts i les Ciències during twilight in Valencia city (Land of Valencia, Spain). English : L'Hemisfèric at the Ciutat de les Arts i les Ciències during twilight in Valencia city (Land of Valencia, Spain). Frontal view of a human heart. The white arrows indicate normal blood flow. English : Frontal view of a human heart. The white arrows indicate normal blood flow. Glaciers and lakes at the edges of the Himalaya in Bhutan. 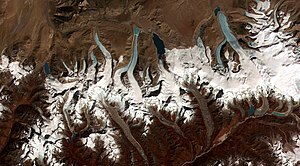 English : Glaciers and lakes at the edges of the Himalaya in Bhutan. The Roebling Suspension Bridge, spanning the Ohio River from Covington to Cincinnati. English : The Roebling Suspension Bridge, spanning the Ohio River from Covington to Cincinnati. Water fountain found in a small Swiss village. 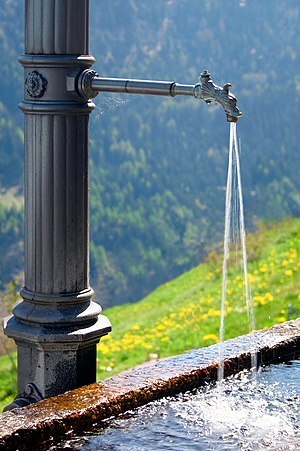 English : Water fountain found in a small Swiss village. Mika Häkkinen driving a Mercedes-Benz DTM racing car at Stars and Cars in Stuttgart, Germany. English : Mika Häkkinen driving a Mercedes-Benz DTM racing car at Stars and Cars in Stuttgart, Germany. View from the Seebodenalp over the foggy landscape around Lake Zug/Switzerland. English : View from the Seebodenalp over the foggy landscape around Lake Zug/Switzerland. Head of a Cane Corso. English : Head of a Cane Corso. Diagram of a marine sextant used for observing heavenly bodies. 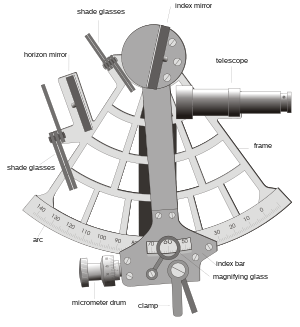 English : Diagram of a marine sextant used for observing heavenly bodies. Naghsh-i Jahan Square, Isfahan, Iran. One of UNESCO's World Heritage Sites. 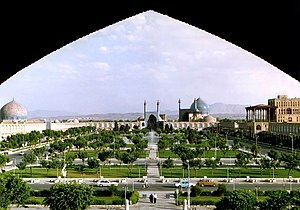 English : Naghsh-i Jahan Square, Isfahan, Iran. One of UNESCO's World Heritage Sites.